Most of us have a big challenge balancing self-care with taking care of our loved ones. Whether you are taking care of children, parents, extended family, partners, pets, or your home, the to-do list never ends and life can become overwhelming. When you are constantly putting other’s needs before your own, you end up feeling depleted and resentful that you never have time for yourself. Taking time out daily to nourish your body, mind, and spirit, should never be viewed as a luxury. Self-care and self-love is essential for each and every one of us to live happy, healthy, and fulfilling lives. 1) Forgiveness : When I lived in Hawaii I was introduced to a beautiful healing practice called Ho’oponopono, which is a powerful process to release memories that are experienced as problems. Forgiving others and forgiving ourselves is one of the most beautiful ways to open your heart chakra and initiate healing. The long form: I love you. I’m sorry. Please forgive me. Thank you. The short form: I love you. Thank you. If you think negative thoughts and beat yourself up over the past, practice Ho’oponopono to push the ‘reset” button and tap into your higher self, your inner Buddha, that knows exactly who you are and what you need! 2) Set Boundaries: Tolerations are things that zap your energy. Eliminating tolerations is a huge first step toward more time for yourself and balance in your life. What are you tolerating in your life that no longer serves you? What is it costing you? Your time, energy, relationships, happiness, health? Ask yourself, “Is this really okay with me?” Make a list of your top 10 tolerations and learn to set healthy boundaries. Know what you will and will not accept, and stick to it. 3) Take care of YOU: Make the time to nourish yourself through good nutrition, proper sleep, healthy activities/exercise, and happy social interactions. Most importantly…LAUGH A LOT! Whatever you love to do, whatever makes your heart sing, take time every day to do it. Even if you only have ten minutes, do it. 4) Carefully select your tribe: Protecting yourself from people that deplete your body, mind, and spirit is your right, and what you deserve in life. Saying good-bye to energy vampires and people who don’t want the best for you opens up time and space for your soul tribe. Protect yourself by choosing people who support and inspire you to be the best version of yourself! Most importantly, surround yourself with people that love and accept themselves. When you are able to develop a self-concept that is secure and loving, then you are able to have a strong foundation for creating healthy, positive, relationships with others. If you start implementing these practices in your daily life, you will feel the weight slowly start to life off your shoulders and you will create more time and energy for YOU! 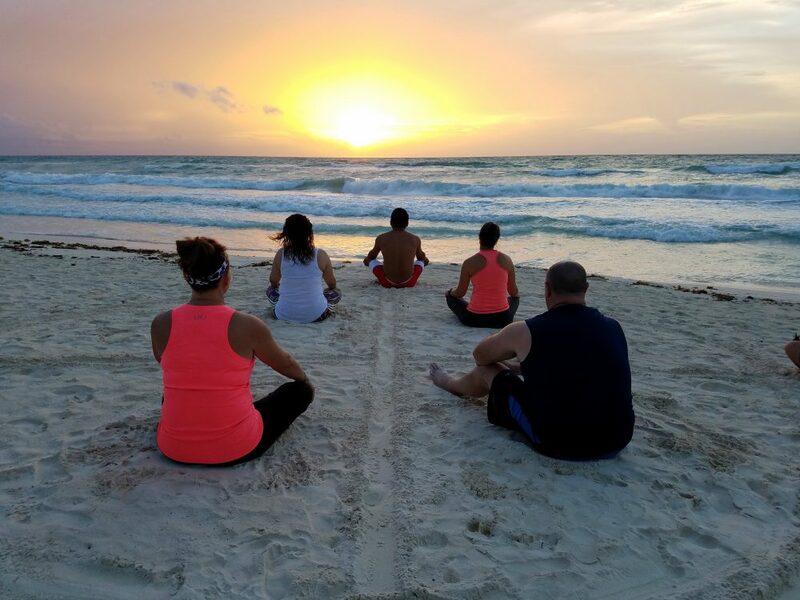 Join Peggy as she co-leads her Soulful Surrender Retreat March 6-11 at Alaya Tulum. Email Inquiry@LifeSourceRetreats.com or click here.